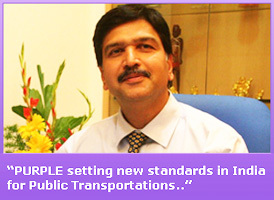 PPMS has pioneered the art of surface mobility solutions to handle mass transit operations in a proficient way. 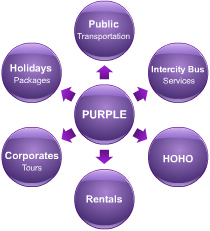 We have an array of mobility solutions like City Bus, Intercity, Corporate rentals, Hop on Hop off service and Family tour planner. We understand the concept of human logistics and have mastered it over these past 25 years. Today we operate around 500 vehicles of different categories to cater 3 lac. passenger daily. Staff training at all levels across the organization and environment, health, safety measures are a priority practice at the company. City bus Operations in 5 state capitals and 10 cities within next two years. Business Network and geographical presence at strategic locations throughout the country in next three years. Positioning our company as undisputed leader in India in the field of Public transport having a fleet size of more than 1000 buses in next 3 years. Recognition as a professional organization having a very capable team, goodwill of customer & other stakeholders with a brand equity spreading across society it serves, within the next 3 years.